Building on a Charlottesville holiday tradition, Sons of Bill return for their annual Christmas Party! we'll look for love and logic in the dying of the light. "This is a record that takes me back to some of the creative heights we achieved in Wilco," says producer Ken Coomer about Sons of Bill's latest LP Love and Logic. "I'm only interested in making records that are still going to be relevant ten years from now, and this is one of them. It's unmistakably the real thing." This is an ambitious album for the three brothers Sam, Abe, and James Wilson, who share equal duty singing and writing throughout Love and Logic. The Virginia roots obviously run deep, with dreamy pedal steel, banjo, and three part harmonies that could have only been learned at church. But the record moves into enough layered pop productions and rock and roll bravado throughout to keep you guessing as to just who these boys are, and what they've been listening to. 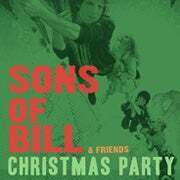 It’s easy to say that Sons of Bill can sound more like Townes Van Zandt or early R.E.M. depending on the track, even moving into their own brand of down-home psychedelia that American Songwriter described as a "countrified Pink Floyd." But the real achievement of Love and Logic is the songwriting, the Wilson brothers’ ability to craft literate and deeply introspective lyrics while still managing to deliver it all as a rock and roll band. It’s a soul-searcher’s soundtrack for an over-stimulated age. A roots rock album that stands out in 2014. 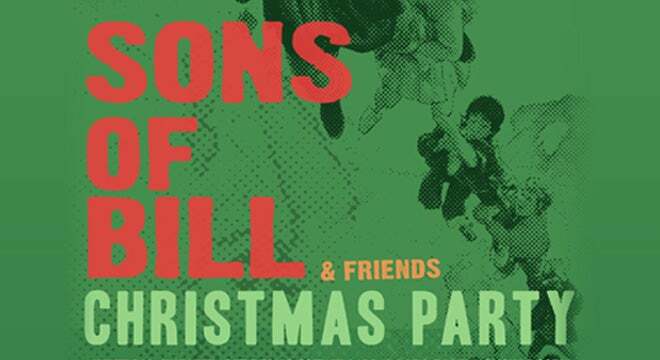 Sons of Bill became more than Charlottesville's best kept secret with the release of the Sirens LP, a brash rock and roll record, which debuted on the Billboard top 200 and #12 on the Heatseekers chart in 2012. The band toured extensively on both sides of the Atlantic for a year and a half and gained some notoriety for their fiery live performances and road dog work ethic. But Love and Logic certainly marks a turning point for the band-- a more sober, reflective, version of themselves-- the sound of a band coming into its own. "We didn't grow up with our parents’ Beatles and Stones records," says Abe. "We didn't really grow up with any records at all. We had to discover most rock and roll on our own. But we grew up with my dad singing, and felt at a young age how much it all meant to him. We learned that music wasn't just pleasurable, it was important." So while the subject matter of Love and Logic may not stray too far from the tradition, it’s this sense of urgency, a heady theological quality, which gives it legs, and makes Sons of Bill stand out amongst their contemporaries. James is an obvious Virginian of the old school, being both a writer and teacher as well as a musician. While lots of people are selling the South these days-- NASCAR, bass boats, and barbecue-- there’s a complicated, more beautiful and literary side of Dixie that hasn’t been aired out in pop music. On Love and Logic, James’ earnest, ardent voice contrasts with his brother Abe’s, a soft-spoken pianist with a sly, more British sense of melody and structure who emerges as the real poet of the band. Songs like "Lost in The Cosmos," a haunting waltz dedicated to Big Star's lesser known and suicidal front-man Chris Bell, lulls the listener with a cadence of searching phrases that whirr around in your head a long time after his songs have gone silent. Sam Wilson is the eldest of the brothers and the most accomplished musician in the band, a classical guitar major who spent half a decade as a jazz musician in New York City. Sam is the reason there were no auxiliary musicians on Love and Logic, as he jumps from guitar to pedal steel, piano, dobro, vibraphone, to vocals depending on the track. But it’s Sam's sound on the pedal steel that really holds Love and Logic together sonically, as it moves from folksy to ethereal, familiar to unexpected, glib to heartbreaking.